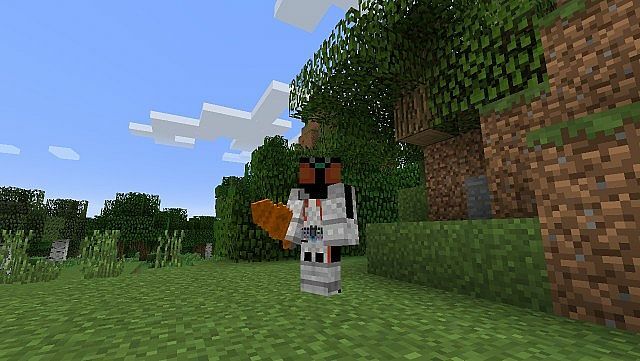 This is Kamen Rider Craft 2. Remake of my Kamen Rider Craft mods. i started the mod from scratch so i am posting it as i new mod. The way this mod is setup is. You will need a Driver and the thing that works with it E.G. Flame Wizard Ring and 3 armour partsThe Driver save the combo and changes to the armour to match. So the Flame Wizard Ring and make the Wizard armour parts Wizard Flame Style. By changing the ring the combo will change with to the armour to match. This means you only need one set of armour to use all of a rider’s combos. 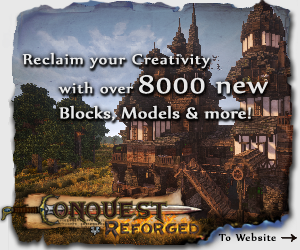 plz do not be place this mod on any other web site or otherwise distributed publicly without permission. Credit the some of the Kamen Rider skins and some items was made by zerodecade but has been edited by me so it looks like my other riders for my mod. https://youtu.be/8fBFKgcTaZI Completed the showcase of the last update. is it possible to transform into den-o liner form? i can't work it out. please update please update please update !! For Shift Dead Heat, it could start you off with Strength 1 and Resistance 1, but pressing a button on the keyboard could elevate those stats all the way to Strength 4 and Resistance 4 (or whatever you prefer). Type Technic is basically a Green Drive in your mod, maybe you could add a special ability! You could add animations for henshins! I'm not trying to nitpick, but I'm just a huge KR fan! ;D Read this if you want to. By the way Kuuga feels a little bare, there could be a bit more to it. great idea but i wonder how would henshin animations work? Uh, I've run into a problem where if you put the full suit, belt and all, on an armor stand from Bibliocraft, the game crashes. Not a huge problem, but it does make mod showcases a little more difficult. Sorry if it's been answered or somethin, What about Ichigo? Are you also gotta add Kamen Rider Diend as well? 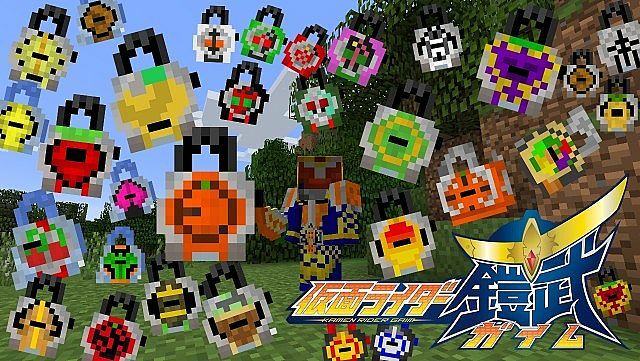 hi kelco_22 i was just wondering where can i find the sonic arrow in kamen rider gaim inventory? At the moment there isn't a sonic arrow in the gaim inventory, sorry. maybe a bit of particle effect? i have a idea and do consider it i was thinking if you could not put the armour on first but transform first and than the armour auto equip itself to the player let me know what you guys think as for the creator of this mod let me know what you think as well also thank you for a great mod please replay me in the comment section thank you kel_k22 . wow, an update for this! sweet. nice to see you active! Can I use it in 1.7.2? Please tell me there is an update for 1.7.10/1.8 planned! add the rest in the sereis like kivala or kamen rider garren etc. what about making kamen rider birth,kamen rider beast,kamen rider meteor,kamen rider accel and kamen rider skull? Please may you make it work with animated players and CustomNPCs I tried it with those 2 mods and they did not work togather also may you make a portal to Helheim Forest so we could get the lockseeds from there that would be awesome also invest I may be asking for a lot so I'm sorry if this comes of a little pushy. One small problem that I have with the mod is that when using OOO armour that gives night vision, the effect is given for just 1 second so at night the sky flickers/flashes. I was wondering if you could make the effect time constantly anywhere between 10-15 secs to fix the problem. to tell the truth, im not really a fan of Kamen Rider, but this looks cool!